All of our Remedial Massage Therapists in Morley offer the use of our HICAPS facility, if you have private health that covers Remedial Massage we will swipe your card prior to you paying the gap. Alyce first started her massage journey as an equine sports massage therapist, then fell in love with the results that massage can achieve and having the ability to help people feel the best that they can. She graduated with a Diploma in Remedial Massage in 2016, and was also awarded the Institute Healer of her group. Alyce is a compassionate, well versed therapist with her aim to leave you feeling healthier and happier. Hayley thrives in assisting others to manage their pain and dysfunction. She has a particular interest in working with sedentary office workers and people that are aspiring to improve their fitness and/or performance through functional movement. She continually expands her skills through continued learning and is a member of the Association of Massage Therapists (AMT). 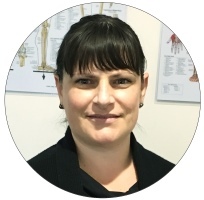 Hayley will tailor a treatment plan to suit your needs, which may incorporate; myofascial release, trigger point therapy, positional release, deep tissue, sports massage, mobilisations muscle energy technique and dry needling.